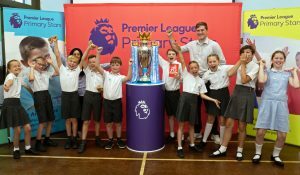 PUPILS at Hermitage School, St John’s were treated to a visit from the Premier League football trophy, thanks to the award-winning poetry of one of their classmates, writes Stuart Flitton. Sadie Trotter, 11, won a poetry contest sponsored by the league, which attracted more than 25,000 entrants from England and Wales. 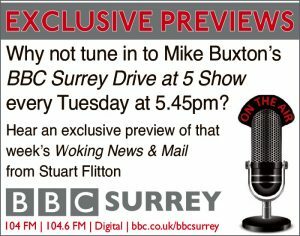 As reported in the News & Mail earlier this year, Sadie’s poem, My Mum’s Battle, was about her mother Lisa’s struggles with cancer. Sadie was presented with a framed copy of her poem in April and this week Premier League officials brought the famous trophy to the school, allowing Sadie and other pupils to get a view usually reserved for the country’s top players. Sadie and friends celebrate as if they had just won the Premier League.